Trystan Theosophus Cotten‘s current positions are Associate Professor of Gender and African American Studies at California State University, Stanislaus and Managing Editor of Transgress Press. He travels extensively around the world speaking on trans identities and issues. His current research deals with gender, race, and migration in the African Diaspora. He has edited five books and written numerous articles on these issues. His most recent publications are: Hung Jury: Testimonies of Genital Surgery by Transsexual Men (Transgress Press 2012) andTransgender Migrations: The Bodies, Borders, and Politics of Transition(Routledge 2011). Loree Cook-Daniels founded the Transgender Aging Network, a program of FORGE of which she serves as Policy and Program Director. Loree has been working for LGBT rights and respect since 1975 and doing transgender education and advocacy since 1995. She has authored numerous publications and helped build self-sustaining institutions in LGBT communities. Loree believes that transgender communities are much stronger when SOFFAs are viewed as full members of the community and given the same support as people transitioning. She has received federal funding that allows her to work full time providing direct services to transgender victims and educating professionals on respectful treatment of transgender people. Lann Hornscheidt is Professor of Gender Studies and Linguistics at the Center for Transdisciplinary Studies at Humbolt University in Berlin, Germany. Lann has held several guest professorships in Sweden (Universities of Uppsala, Lind, Orebro, Sodertorns Stockholm), Austria (Universities of Innsbruck and Karl-Franzens Graz), and Finland (Abo Academy). Lann has also authored six book, including the most recently published Feminist Words and Places (2012) and How to Write Feminism: Together with the Ag Sprache (2011) and Hate Speech (2011) and Racism in Plain German (2010). Lann’s current research focus on: linguistics and racial discrimination, intersectionality, postcolonial theory, trans activism, migration, discoursive and dispositive analysis. Lann is also co-founder of X_Art Splitta, an activist organization using artistic practices to bring about social justice and social transformation. Maya Scott-Chung, MPH is an oral historian, community educator and grassroots organizer. An activist since high school, she has trained as a facilitator with Equity Institute and led workshops on cross-cultural alliance building and unlearning racism, heterosexism and other oppression issues for almost thirty years. Ms. Scott-Chung received a B.A. in Multicultural Curriculum Development through Theater with minor concentrations in African American Studies and Women’s Health from the University of Massachusetts, Amherst in 1991. She went on to earn a Master’s degree in Public Health at San Francisco State University in 2010. Her thesis, The LOVING QUILT: A People’s Living History and Herstory of Marriage Equality and Family Justice Movements, has toured throughout the US and India. Ms. Scott-Chung started an LGBTQI oral history archives with StoryCorps www.storycorps.org in 2010 and feels honored to serve on the national Advisory Board of StoryCorps OutLoud. She has also contributed work to Dr. Sonia Nieto’s groundbreaking book,Affirming Diversity: The Sociopolitical Context of Multicultural Education. Ms. Scott-Chung lives in Oakland, California with her husband, Chino, their daughter, Luna, her mother-in-law, Teresa and four lively cats. 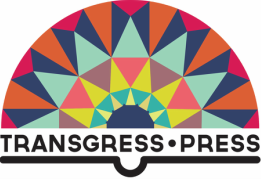 She is currently gathering stories and essays for an anthology focusing on transgender fertility, family building and reproductive rights with Transgress Press. ​Shelby Zahn is a graduate of California State University, Stanislaus and a prospective graduate student at California State University, Sacramento. She has a Bachelor of Arts in Gender Studies, with a concentration in Ethnicity, Nationality, and Sexuality, and a minor in Sociology. During her undergraduate years, she was involved in Love Evolution, her campus’ equivalent of an LGBTQ+ organization, where she served as Web Coordinator and eventually President. With the help of faculty and colleagues in 2016, she was able to successfully host CSU Stanislaus’ first ever Gender Workshop, entitled, “What Is Gender? : A Crash Course in Misconceptions.” Shelby is passionate about challenging heteronormative, cissexist, sexist, xenophobic, racist, classist, and ableist norms and language through interactive education and dialogue. nter Boone is an attorney, writer and editor who lives in Kalamazoo, Michigan. Hunter attended Western Michigan University where he earned a Bachelor of Arts in English, a Master of Arts in English Literature and a Master of Fine Arts degree in Fiction and Poetry. After grad school, Hunter went on to attend the Thomas M. Cooley Law School with a concentration in litigation. His legal practice has focused on an array of issues including the rights of the wrongly convicted, intellectual property disputes, contract law, consumer rights and construction fraud. He is a member of the State Bar of Michigan, the American Bar Association and the Kalamazoo County Bar Association. Hunter is also a published fiction writer and poet. Trace Peterson is a trans lady graphic designer and runs PTRSN Design in Brooklyn. She specializes in print design and identity/logos/signage. Clients have included Unnameable Books (store signage and logo/identity), Ahsahta Press (print design), Nightboat Books (print design), and numerous other publishers. Peterson is also a poet and co-edited the recent anthology Troubling the Line: Trans and Genderqueer Poetry and Poetics." Jin Haritaworn is Assistant Professor of Gender, Race and Environment at York University in Toronto. Professor Haritaworn is known for presenting piercing, cogent critiques of queer necropolitics and homonationalisms and recently co-edited a collection of essays on the topic, Queer Necropolitics, forthcoming from Routledge in 2013. Haritaworn’s newest book, The Biopolitics of Mixing: Thai Multiracialities and Haunted Ascendancies (Ashgate) engages a plethora of issues surrounding race/ethnicity, nationality and diaspora, sexuality and gender in late 20th century global circuits of trade, travel, and transport. Haritaworn has also edited and co-edited numerous periodicals on intersectionalities of race, gender and sexuality, including European Journal of Women’s Studies (2012, 19(1/2)), Sexualities (2006, 9(5)), International Feminist Journal of Politics (2013, 15(4)). Dean Spade is an associate professor at the Seattle University School of Law and is currently a fellow in the Engaging Tradition Project at Columbia Law School. In 2002 he founded the Sylvia Rivera Law Project, a non-profit collective that provides free legal help to low-income people and people of color who are trans, intersex and/or gender non-conforming and works to build trans resistance rooted in racial and economic justice. He is the author of Normal Life: Administrative Violence, Critical Trans Politics and the Limits of Law. Susan Stryker is an internationally renowned scholar of Gender and Women’s Studies, filmmaker, and tireless activist of social justice for trans people. Currently, she is Director of the Institute for LGBT Studies at the University of Arizona and Associate Professor of Gender and Women’s Studies. Professor Stryker is the author of many articles and several books on transgender and queer topics, most recentlyTransgender History (Seal Press 2008). She won a Lambda Literary Award for her anthology The Transgender Studies Reader (Routledge 2006) and an Emmy Award for her documentary film Screaming Queens: The Riot at Compton’s Cafeteria (Frameline/ITVS 2005). Professor Stryker’s research interests include transgender and queer studies, film and media, built environments, somatechnics, and critical theory. Currently, she teaches classes on LGBT history and embodiment and technology.